John makes his intentions known immediately and they are quite simple. He is imploring us live holy lives and not to sin. However, because John knows our condition as sinners, he wanting to introduce us to the Great Advocate. 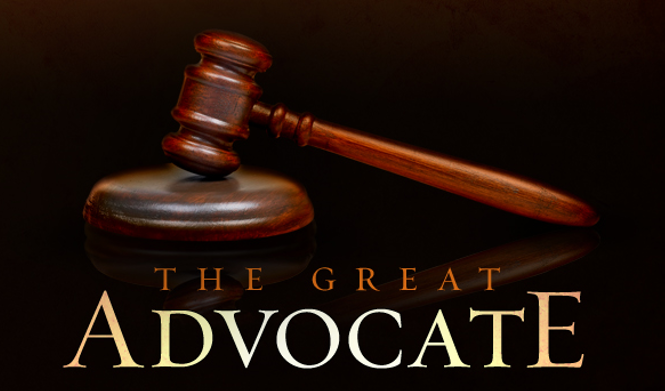 The Great Advocate is the only one who can help and defend us before the mighty and just Judge, our Father in Heaven. This Great Advocate is Jesus Christ! In Christ we have no condemnation in our lives because we belong to Him: Romans 8:1. But, we must be in Him and that means we trust Jesus as our Savior. And when He becomes our Savior, we are found innocent, not because we are innocent, but because The Great Advocate took on our guilt and replaced it with HIS innocence. How amazingis that! He is the one who paid our debt of sin on the cross that allows us to stand innocent before the great, holy and just Judge,our Father in Heaven. Then, John goes the extra step and wants to ensure that we know the advocate! The way that we know the Advocate is by obeying His, that being Jesus’, commandments. We must do all that we can in our lives according to the Word of God and the way that Christ lived. Jesus tells us that if we love Him, then we will obey Him: John 14:15. And I love verse what the apostle says 1 John2:5a: “But those who obey God’s Word truly show how completely they love Him.” We shouldn’t just obey the Word of God out of obligation or duty, we should obey it because we love Christ and we are thankful for what He did for us on the Cross! 1. Do you love Christ completely by obeying the Word? 2. What areas of your life do you need to start living as Christ?